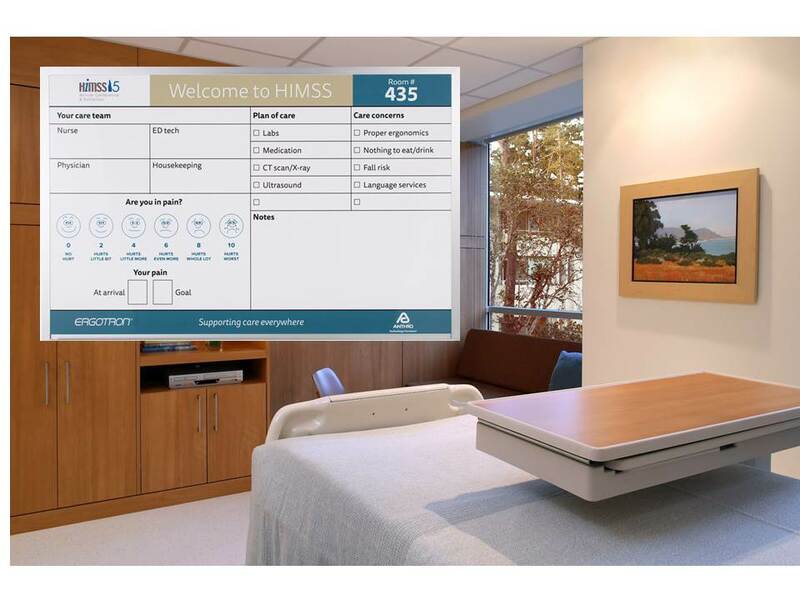 Custom printed patient room dry erase boards from OptiMA have our exclusive dry erase writing surface that can actually be cleaned with Isopropyl alcohol which helps to aid in preventing the spread of infectious disease*. 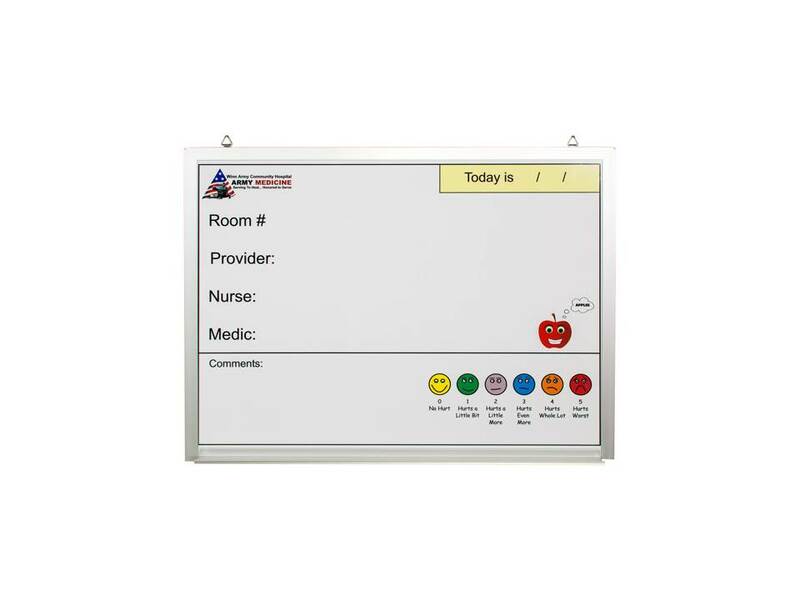 In addition to a patient room board with a great dry erase writing surface that can be disinfected, our 1/4" thick substrate is 99.99% moisture resistant. If the backing can't get wet or moist this will also help to aid in preventing the growth of any kind of mold or other infectious pathogens. You won't find a better erasing dry erase writing surface that never ghost and wipes clean every time covering full-color picture quality graphics, images and headings. OptiMA patient room boards are framed with a high quality satin anodized aluminum trim and you can opt for a board with or without a marker tray. 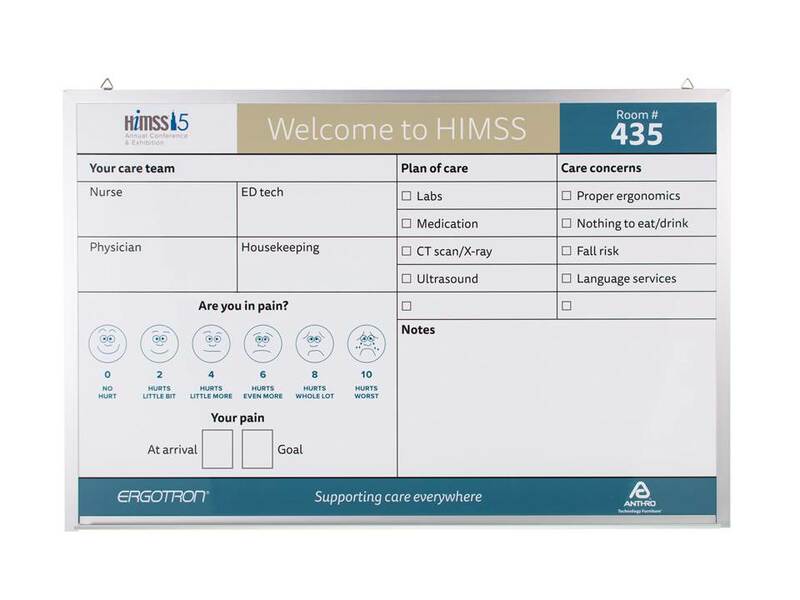 If you select to have a tray, our aluminum marker trays run the full-length of the board and have smooth rounded edges and corners for added safety. 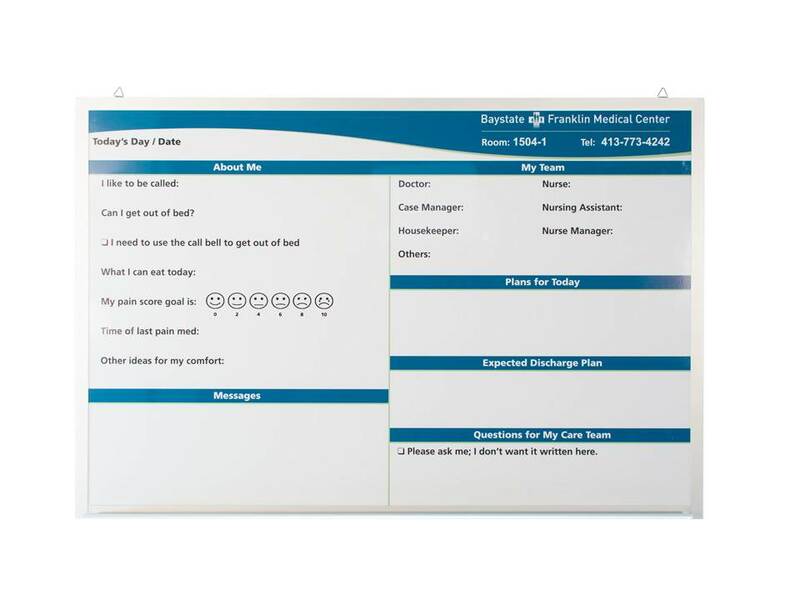 Our excellent customer service staff will walk you through every step of our easy process to create the best custom printed dry erase patient room boards that suit your specific needs. 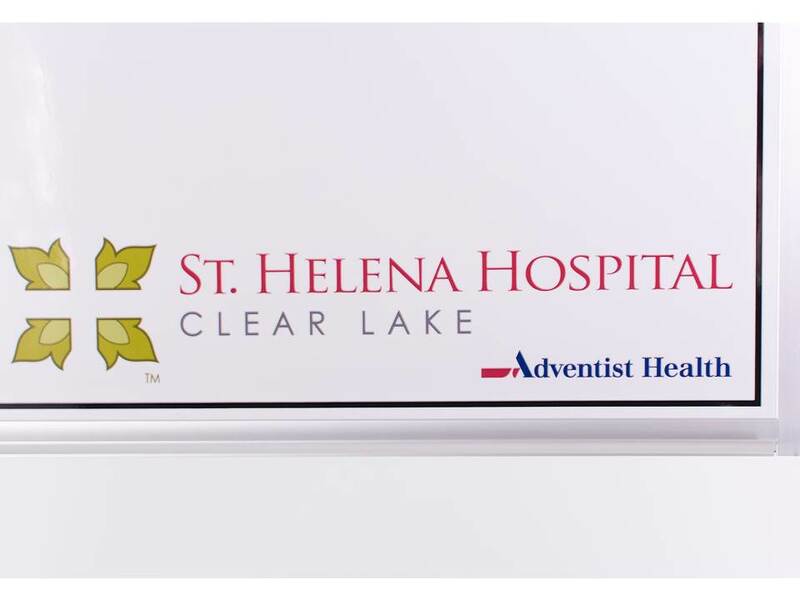 *Independent test lab results show that our patient room boards that were washed down with a 70% alcohol solution killed over 99.99% of Staphylococcus and E. coli bacteria. A copy of our lab test is available upon request. 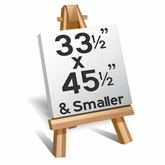 Custom sizes available through customer service. 5-year Total Erase guarantee on the writing surface. Available with or without marker trays. Surface can be cleaned with Alcohol and rinsed with clean water without damage. PVC sub-state is 99.99% moisture resistant. Overall thickness is approximately 1/4" thick. 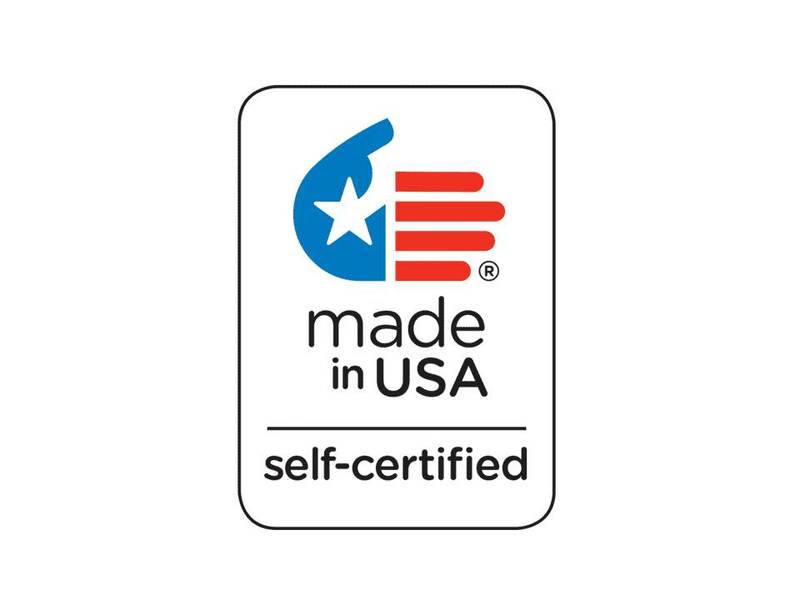 We create a proof for each custom printed unit for any part of your order is produced. Lead-time for board proofs is 2-3 business days from receipt of acceptable artwork. Finished product ships in 7-10* working days after we receive signed and accepted proof. Custom sizes may be available. Please contact customer service for a quote. There is a one-time set up fee for each different design that covers up to three revisions. Artwork is kept on file for a period of one year. Clean with a soft cloth. We recommend our Opti-Wipe™ for best results.